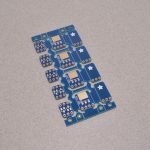 More and more often, fancy new integrated circuits are only offered in a surface mount package – these are smaller, easier to machine assemble, and generally cheaper… but also a lot harder to prototype with! 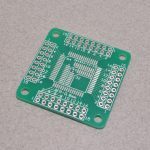 This breakout boards is designed to make that fancy new chip much easier to work with by breaking out each of the tiny pins on the chip to nice, big, breadboard friendly headers. 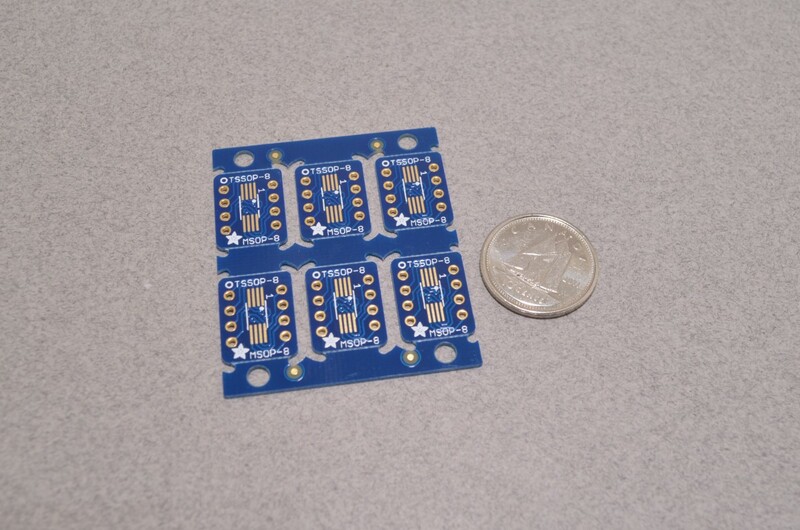 Chips can be soldered using a conventional iron or with paste and some form of hot air / reflow. 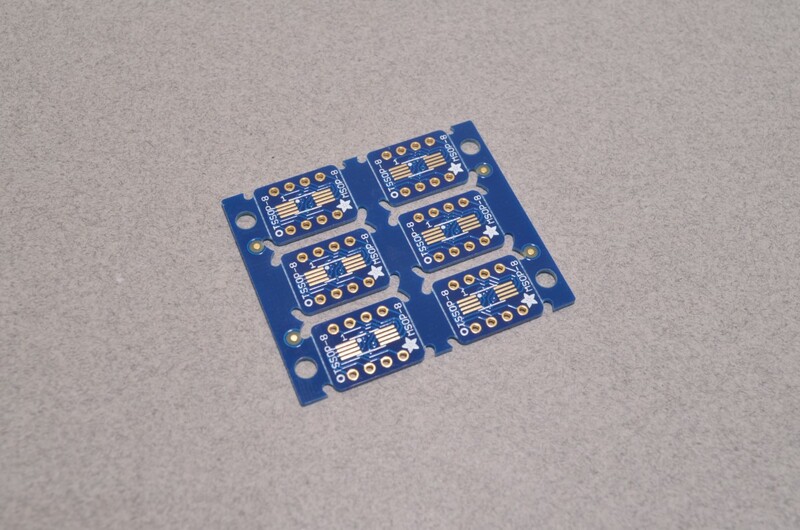 These boards are double sided and feature a SOIC-8 pin footprint on one side and a TSSOP-8/MSOP-8 on the other. 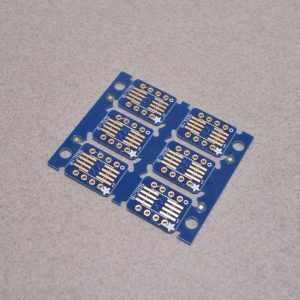 The SOIC-8 footprint is compatible with narrow, standard, and wide chips while the TSSOP-8 fits all standard TSSOP-8 and MSOP-8 chips. 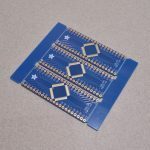 In a pinch you can also use these boards with a smaller chip of the same footprint but the pin numbering wont be right – so use care. Each pack includes three boards. 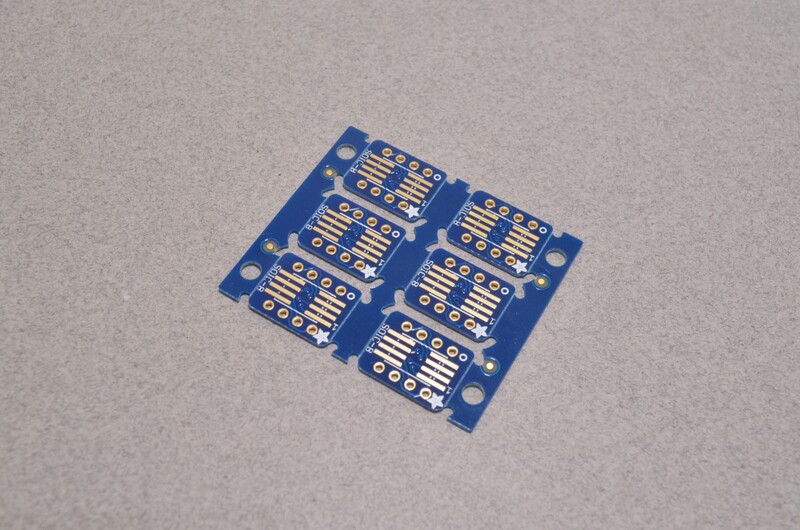 These boards do not include breadboard compatible pins, we recommend picking some 40 Pin Breakaway Headers to go with these! SKU: BOB-043. Categories: SMT Breakouts, Breakout Boards. 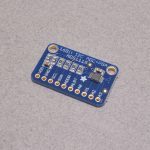 Tags: Adafruit, Breakout, Light Packet, Surface Mount.